GOP legislators wrapped the unpopular “Abolish ICE!” campaign around House Democrats on Wednesday, by forcing a floor vote where 167 Democrats abstained or voted against a resolution praising the Immigration and Customs Enforcement agency. 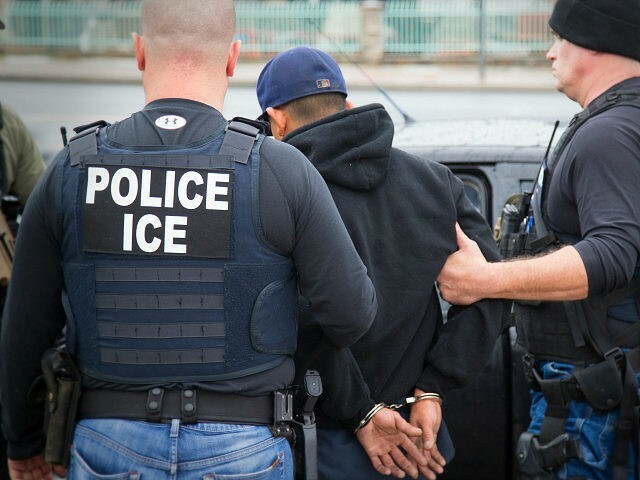 Democrats are under growing pressure from their progressive base to block ICE’s popular immigration reforms. But that is electoral poison, so Democratic leaders have been trying to shift attention back to higher priorities issues such as healthcare. Rep. Steve Scalise: I am proud to #StandWithICE. Immigration and Customs Enforcement agents protect our communities from terrorism, human trafficking, illegal drugs, and gang violence. It's deeply concerning that House Democrats refuse to stand up for American national security over open borders. (3) supports the efforts of all Federal agencies, State law enforcement, and military personnel who bring law and order to our Nation’s borders.